Komal Thatal is an Indian professional football player. He was born on 18th September 2000 in Sikkim, India. He has made 31 appearances for the India U17 national side. He began involving himself with the game by the early age of 3-4. In 2011, Thatal began playing professional football by joined the Namchi Sports Academy in his native state, Sikkim. 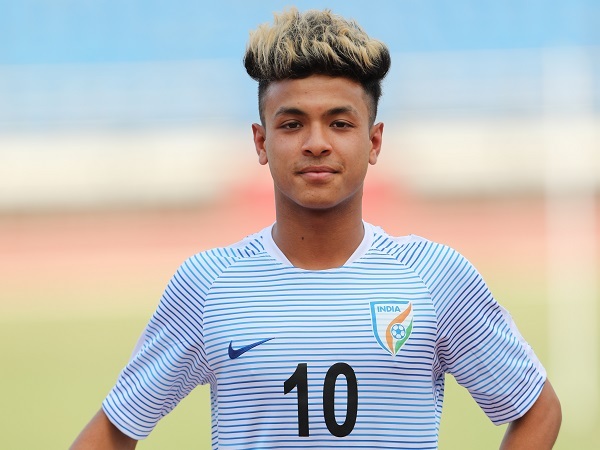 He played there for three years and then attended trials for the AIFF Elite Academy and India U17 side which was about to play for the 2017 FIFA U-17 World Cup. Thatal joined both the team and the academy by impressing the coaches. In 2017 he made his international debut with the FIFA U-17 World Cup. For this he was practicing since 2014. But Thatal was allowed for only the first match of the tournament which was against United States. Komal came to limelight when he scored a superb goal in a match against Brazil which proved to be the Indian U-17 team's only goal in the BRICS tournament held in Goa, India in 2016. The match culminated in a 3-1 loss for India. He didn’t score a single goal in the FIFA U-17 World Cup. So, he was not part of the World Cup after the first match and even went on not to be part of I-league. Thatal started out with the Namchi Sports academy in the year 2011 and continued there till 2014. From Namchi, Thatal got a nice start and was soon part of AIFF Elite Academy after leaving Namchi in 2014. He continued there till 2017. For the 2017–18 season Thatal joined Indian Super League side ATK. Officially he is part of the team since Jan 1, 2018. On 28 January 2018, He made his professional debut for the ATK in the match played against Jamshedpur. He came on in closing time towards the very end of the match. ATK were defeated 1–0. He has just made two appearances for the team one against Jamshedpur and the other against Mumbai City. He is the first Indian who has scored against Brazil at any level. Apart from that, he has scored the most number of goals, nine, for the county at U-17 level. ISL 2017: FIFA U17 World Cup star Komal Thatal to sign for ATK?